Are activists targeting Limbaugh advertisers? 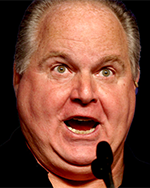 by Jay Mitchell • September 25, 2014 • Comments Off on Are activists targeting Limbaugh advertisers? ← RIAA says streaming up, revenues down.